Vaciamos la bernejena con una cuchara, es preferible aue la berenjena sea gordita así será más fácil, luego freímos la cebolla y la bernejena que hemos quitado cortada en trocitos. Cuando ya esté bien hecha echamos el tomate, uno que nos guste y especiamos bien. Una vez que lo tengamos rellenamos las berenjenas y las cubrimos con pan rallado y un poquito de levadura de cerveza. Una vez precalentado el horno bajamos la temperatura del horno y lo horneamos por unos 25 min. 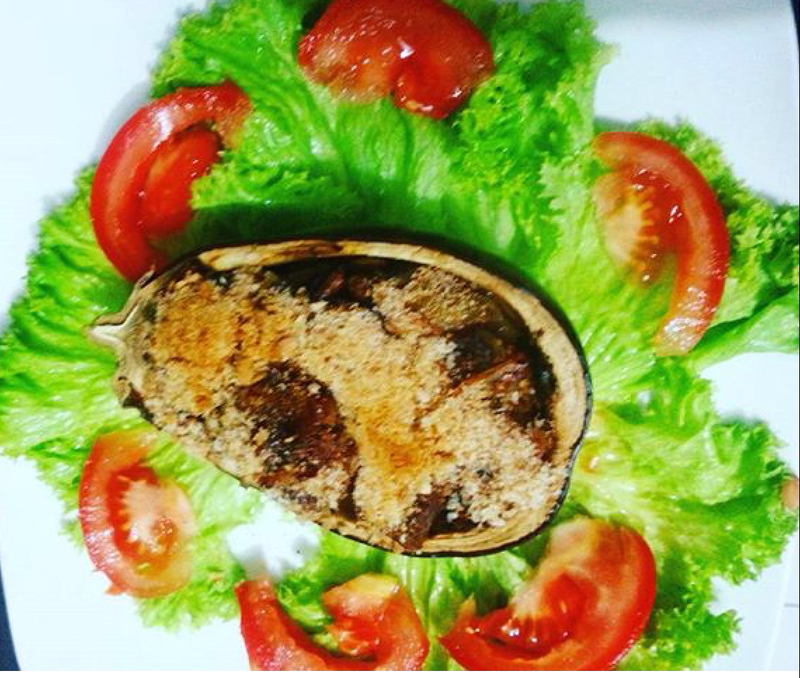 Before being vegan I used to eat a lot of stuffed eggplants and one day,my grandma gave me this recipe with no meat and no cheese and it is quite nice and easy.You can served it with rice, quinoa, salad…whatever you want. Halve eggplants lengthwise. Trim a little off the undersides so they lie flat. Cut around the inside edge with a spoon to separate the flesh from the skin. Scoop out the flesh and roughly chop. Set the shells aside. Heat a bit of oil. Add onion and the chopped eggplant and cook, stirring frequently, until starting to soften.Add canned tomato and herbs. Fill the eggplant shells with the stuffing and use a spoon to smooth the tops.Top with breadcrumbs and beer yeast. Once is preheated the oven, reduce heat and bake them for about 25 minutes.